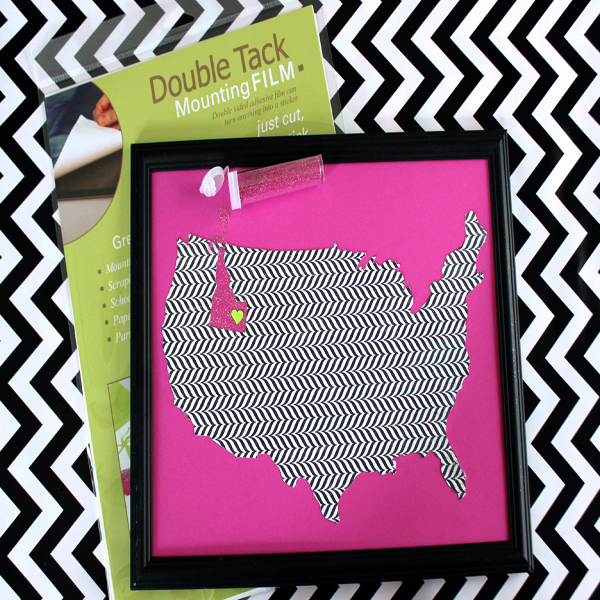 Project Description: This Glitter Map would look so cute in a dorm room or on your desk at work! First, you’ll need to print a map. I’m changing my page layout to landscape so I can make the map larger. Load the patterned paper in the printer so that it will print on the back side of the paper. Cut around the outline of the map. Use an X-acto knife to carefully cut out the state of your choice. Remember, the blade is very sharp, so use caution. Now I’m going to adhere the map to colored card stock. I’m using Double Tack Mounting Film for this, which is essentially like a sheet of double-sided tape. It makes it easy to consistently cover a large area at once. Cut the Double Tack film a bit smaller than the map outline. You don’t have to be too precise, just make sure that the state cutout will be completely covered by the adhesive. Peel off the paper backing and press the film to the back of the map. Peel off the remaining paper and adhere to the card stock. The state cutout is ready to be glittered, without having to add messy liquid glues. Pour fine glitter over the state and pat lightly with your finger. Shake off the excess glitter. 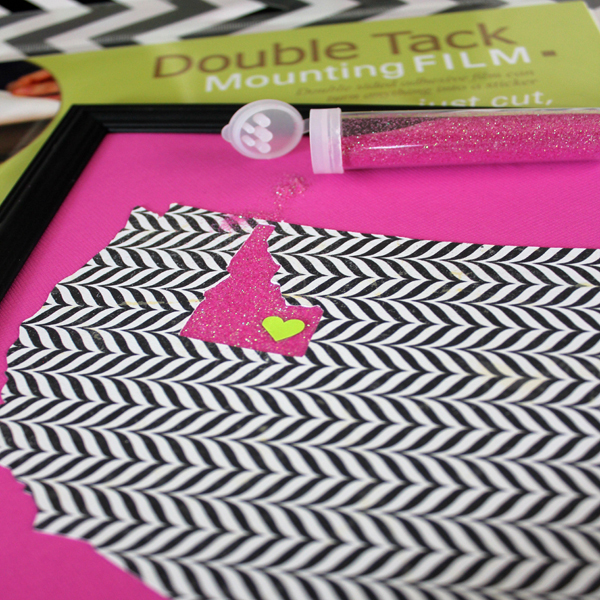 The Double Tack Film ensures that the glitter covers evenly while keeping the crisp outline of the state. 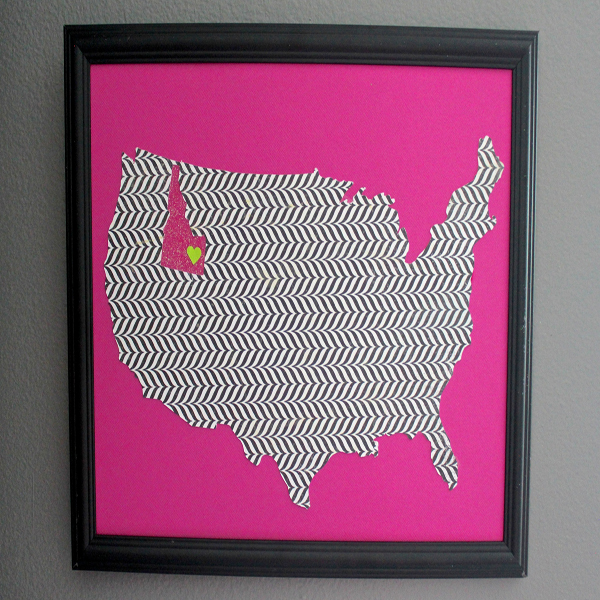 I cut out a tiny heart and adhered it to my home town with a small piece of Double Tack. Add a frame and you’re finished! 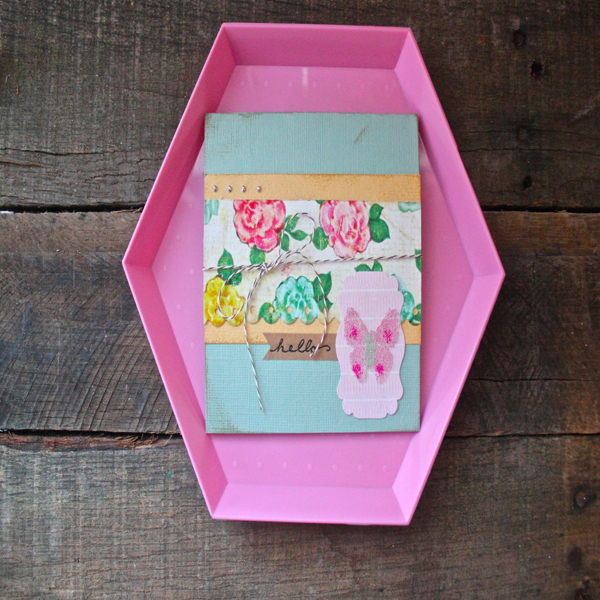 You can also use Double Tack to easily adhere small items like microbeads. 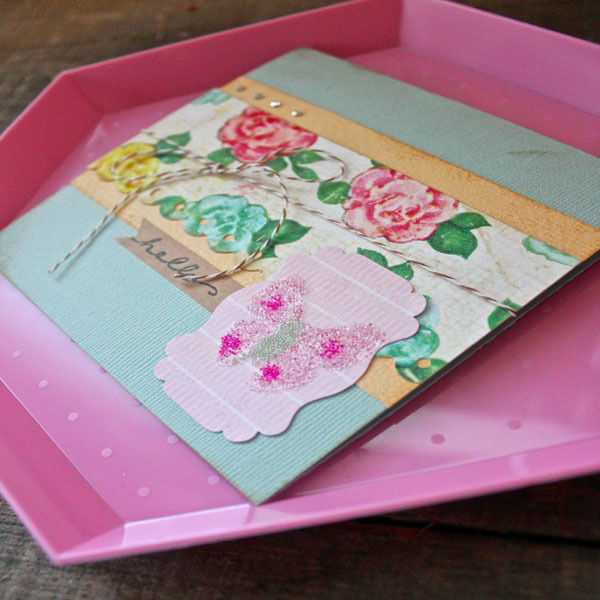 This can add texture to a scrapbook page or card. Use a paper punch to cut a shape from Double Tack. Peel off one side of the backing and press to the card. Rub lightly to ensure even adhesion. Remove the other backing piece to reveal the adhesive. Add a fine layer of microbeads. Pat with your fingertip, and then tap the card on the table to remove excess beads.